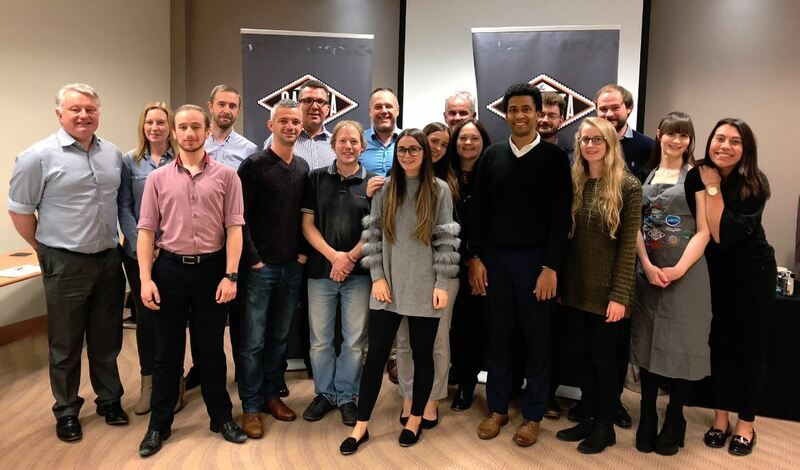 On 22nd November 2018 the West Country Milk team was treated to an evening of Barista Training from the Compass Barista Academy. Our Compass Master Barista was Sziszi Walter, Sziszi is one of the 5 newly crowned Compass Master Baristas after her winning performance during the recent Compass Barista Academy competition. Sziszi put on a fantastic demonstration of her unique skills. At one point pouring a perfect latte behind her back! The West Country Milk team was in awe of the 'Latte Art' that Sziszi was able to produce. 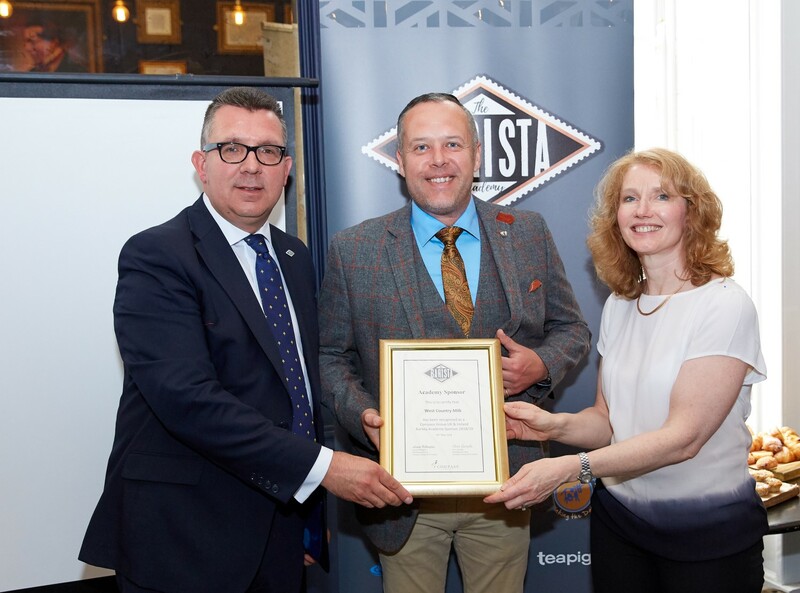 During the evening Stephen Lovegrove explained the importance of the Barista Academy to the Compass as a business, demonstrating how the quality of coffee the compass baristas are producing has increased immeasurably since its launch. Owen Thom – Gave a brief talk about the importance of the Coffee Industry to coffee growing nations. He expressed the importance of understanding the journey, of the bean to cup and how the SCA are offering training course for Baristas Worldwide, as part of their goals to educate Baristas and to improve the quality of coffee produced. They are also working hard to ensure an equitable supply chain with Farmers receiving a fair price for the beans that they produce. The evening was topped off with a Latte competition. The Rounds were fierce, the tension was palpable at times, with no one wanting to be beaten and everyone wanting to be crowned West Country Milk Barista of the year 2018! The final showdown was between Gary Hutchins, Chis Singleton & Katie Crocker. All 3 produced their best coffees of the night with the eventual winner Katie Crocker being crowned. West Country Milk Barista of the year 2018! Katie Crocker commented "The evening was really interesting; the competition was a lot of fun. Making it to the final was a surprise and with family pride on the line with my Father, Auntie and Sister all being knocked out in the previous round I couldn’t let them down. I’m delighted to be the winner and the trophy will take pride and place on my desk at work"
Stephen Lovegrove commented "This is the first time that we have provided one of these training sessions for a supplier and it has been a resounding success. The quality of Lattes that the West Country Milk team were producing were getting better round by round. It was really nice to have a supplier that is engaging with it customers on this level"
West Country Milk relies heavily on its I.T. Systems to facilitate the incredibly smooth flow of data we are renowned for, both with our customers and suppliers. To put this into some perspective, West Country Milk processes some circa. 500,000 invoices every year. Our servers and I.T. systems are at the heart of our business and it is therefore vital that we have robust, tested fall-backs in place that provide reliable contingencies in the case of system failure. As part of our regular tests, we recently conducted a full system recovery, imitating the fallout and subsequent protocols resulting from a catastrophic system failure. Checking the feasibility of recovering our virtual environment onto a new hardware platform. We did this because in the event of a disaster, we need to know the backups are working as expected and can fully recover our infrastructure and data. Testing of the Nightly data backups that are downloaded locally (in additional to our virtual backup protocols) and then copied to USB disk to be taken off site. In the event of a disaster, these disks can be used to recover our environment onto another hardware platform minimising business downtime and data loss. The result of this test was 100% successful, we recovered all virtual machines into a new environment and were able to test our critical applications with no issues. This was all achieved within just 10 hours of the initial, simulated, system failure. Danny Raleigh, General Manager at West Country Milk commented "Sometimes, these kind of scenarios can be forgotten about until it’s too late. A bit like when your mobile phone fails, you don’t realise just how reliant you are on technology until it is suddenly missing. Give the thousands of sites that rely on our systems for their daily delivery of milk & fresh produce, we simply can’t afford to be complacent. It’s reassuring to know that our latest system stress tests how returned such a positive result"
Meet Knickers – Australia's biggest cow. Standing at 6ft 4in tall and weighing in at 1.4 tonnes the Holstein Friesian steer is taller than the average Australian and weighs more than a Ford Fiesta making him a record breaker. 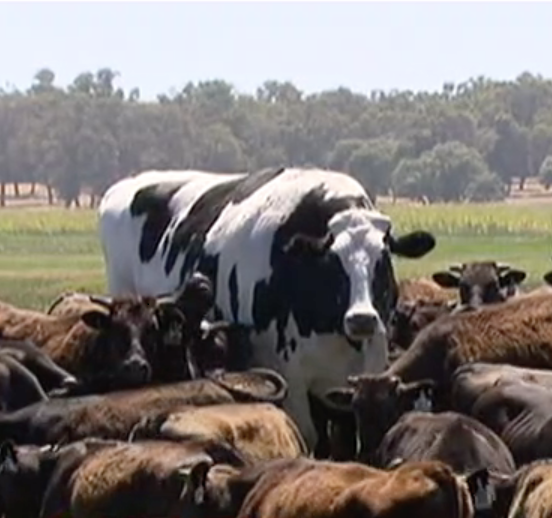 The average size of a Holstein steer is 5ft 4in but Knickers towers over the rest of his herd in Myalup, Western Australia. Geoff Pearson, Knickers’ owner, said the beast’s size could save his life – as he is too BIG for an abattoir to process. He told Perth Now: "It was too heavy. I wouldn’t be able to put it through a processing facility. So I think it will just live happily ever after." Knickers cost his owners £226 ($400), and they bought him as a 'coach' to take charge of the herd. He’s taller than the average Australian man, who stands at 5ft 10in. Guinness World Records said the tallest steer on the planet is a 6ft6 Chianina ox named Bellino. 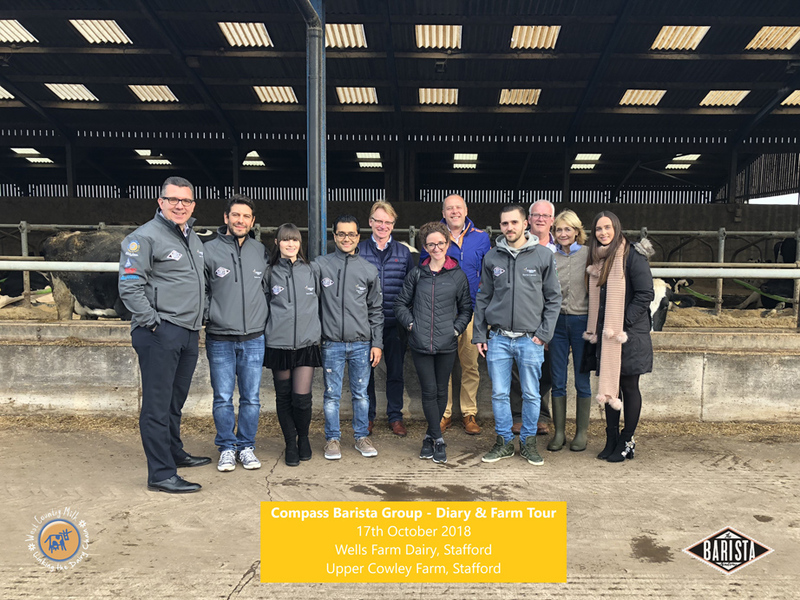 As part of their ongoing education, Barista’s from the Compass Barista Academy visited Wells Farm Dairy and one of their associated farmers, Richard & Jane at Upper Cowley Farm in Staffordshire. The day turned out to be a happy ‘exchange’ of information with the Barista’s educating The Dairy, Farmer and West Country Milk in the art of coffee making whilst receiving an insight into the production of Milk in return. 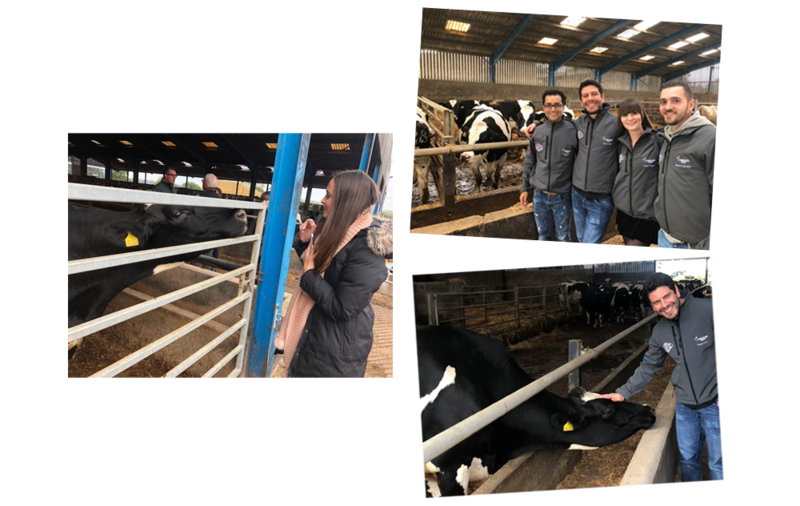 The Barista’s were able to see the full process from the cows feeding and being milked through to the raw milk being delivered to the dairy, being tested, processed and packed. West Country Milk plans to run further Dairy & Farm Tours in the New Year. Speak to your Account Manager for further information! 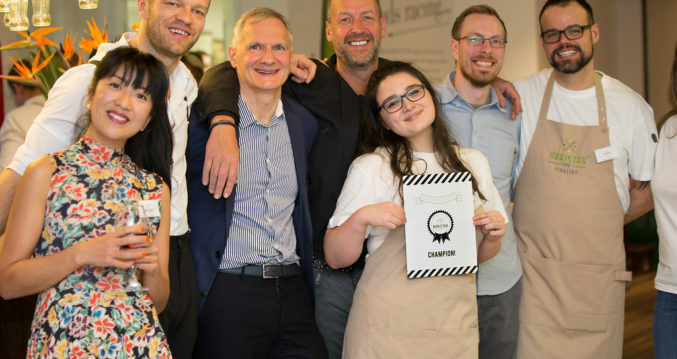 Compass Group UK & Ireland, the UK’s largest food and support services firm, has launched its inaugural Barista Academy, revealing the five baristas who will make up the company’s elite group of coffee experts. Selection for the Academy was conducted through a rigorous trial process, which stretched over three days, with an emphasis on technical skill, consistency and quality. Starting with over 30 entrants, Compass whittled the applicants down to ten for the final heat. Compass will now progress the skills of these baristas by enrolling them onto the Speciality Coffee Association (SCA) Coffee Skills Program. 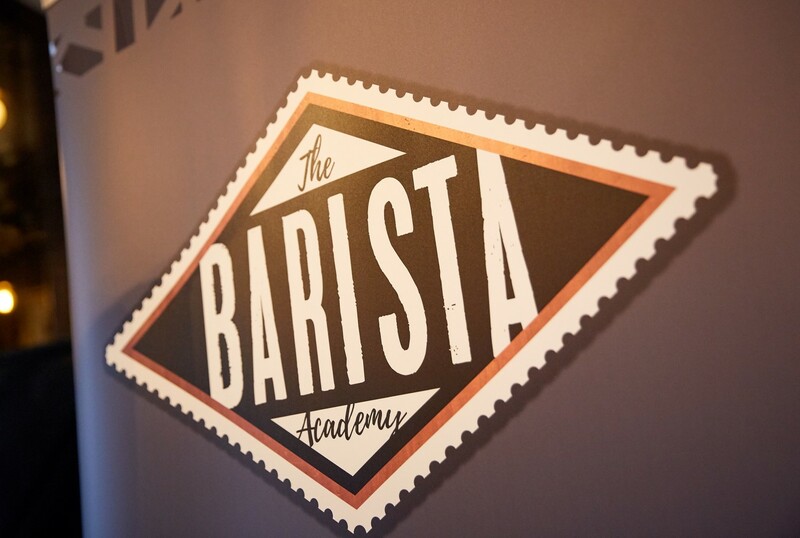 The baristas will have the opportunity to work towards a Diploma in Coffee and potentially working towards becoming an Accredited SCA Trainer, enabling them to spread their expert knowledge across the business’ barista community by leading SCA training courses themselves. Stephen Lovegrove, Head of Format (Café and Foodvenience), said: "The standard of the Barista Academy entrants has been outstanding. They have demonstrated creativity, knowledge and expertise during this process and they are testament to the quality and skills of our baristas." Louise Pilkington, Marketing Director – Compass Group UK & Ireland said: "Over the last two years we’ve been raising the bar in our hot beverage offers. 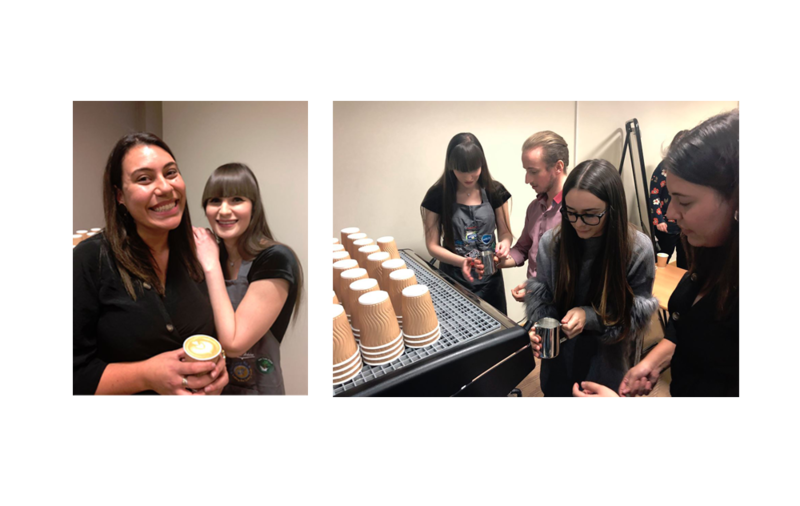 By launching our Barista Academy, we have empowered our baristas to enhance our brands and create fantastic tasting coffee for our clients and the public." The launch event for the new academy was held at Somerset House in London on 30th May where the final five Baristas were presented. Each sponsor received an official certification of their sponsorship along with a commemorative plaque. Sponsors included: UCC Coffee, Nuova Simonelli, Victoria Arduino, & West Country Milk. 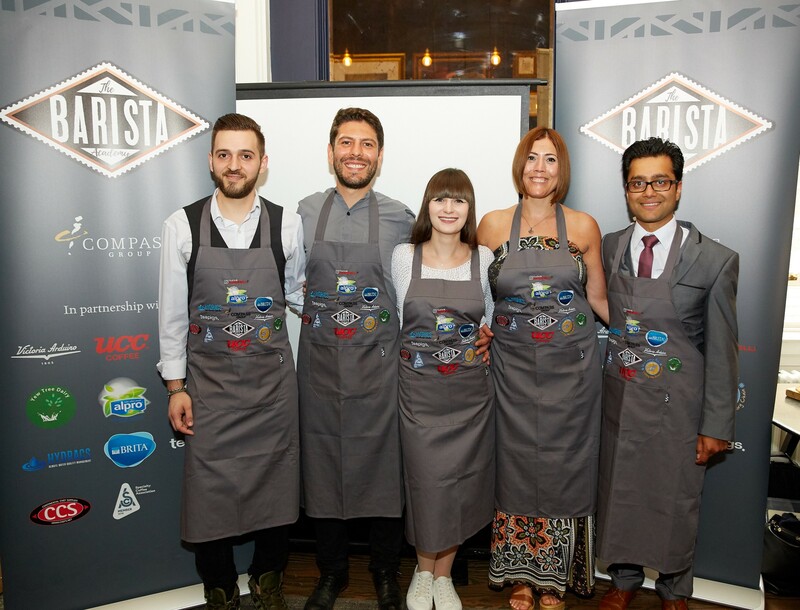 Lexington Catering, one of the leading contract caterers in London, gave the team the chance to battle it out at their fifth annual BariStar competition. 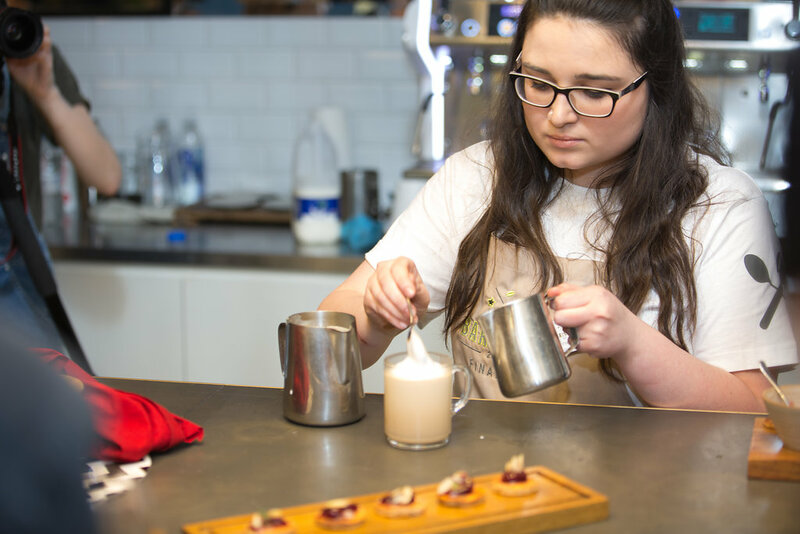 Nine finalists went head to head in a competitive final at Coca Cola on 19thApril 2018, where Alice Innocenti, General Assistant at Lexington Catering, was crowned BariStar of the Year 2018. With a Twin Peaks theme, lead character, Dale Cooper provided the inspiration for Alice’s signature coffee. Alice named it Cooper and created a cherry latte. Mike Sunley, CEO of Lexington and Elior’s B&I City Business says"A huge congratulations to Alice. She had some fun with her Twin Peaks inspired Café Latte but managed to keep things simple – producing a cup of coffee that is perfect in both taste and visually." Commenting on her win, Alice Innocenti, General Assistant says, "I put all of my effort into making a great cup of coffee for my customers and I am very competitive so absolutely delighted to win this award. For me, I really wanted to show my creative side and do something a bit different. I love Twin Peaks so used this as the inspiration for my signature drink and the judges seemed to like it!" West Country Milk was thrilled to support the event and to donate a state of the art iPad Pro to the selection of winning prizes. General Manager, Danny Raleigh commented after attending the event "The level of passion and creativity shown by these finalists was mind-blowing! Every finalist produced a really exciting, high-quality product and it shows just how versatile coffee can be. It was interesting to talk to some of the finalists and hear from them how much value they place upon receiving great quality milk that’s as fresh as possible. The freshest of milk works to compliment the coffee that’s at the heart of so many of the drinks they prepare every day"
Mike Sunley said, "Year on year the standard of the competition just keeps increasing. All of the finalists showed outstanding skill, creativity and true professionalism, giving the judges some very hard decisions to make! We’re immensely grateful to all of our judges and to our coffee partners"
West Country Milk are proud to announce their sponsorship of local Youth Football Team, Heavitree Youth. The team are associated with Heavitree United who are a well established team in the Exeter and District Leagues, established way back in 1885. The club is a well known sight to anyone regularly travelling into Exeter from the M5 Motorway. 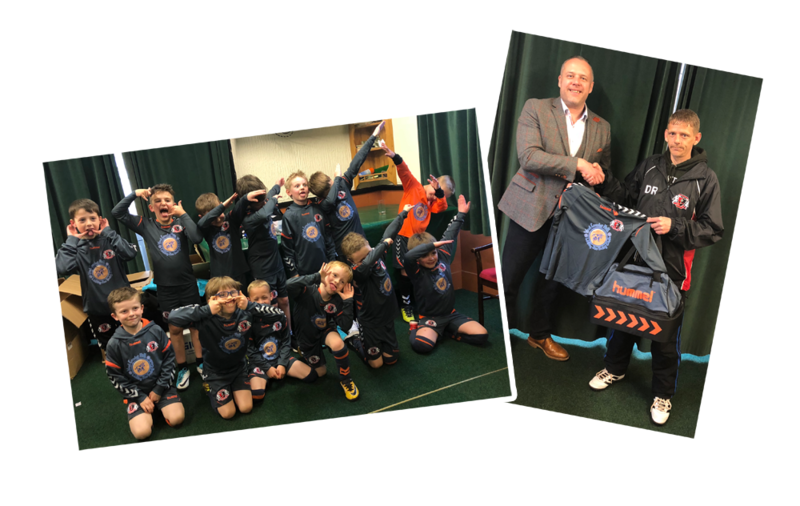 Specifically, West Country Milk have sponsored the Heavtitree Youth Under 8’s team. 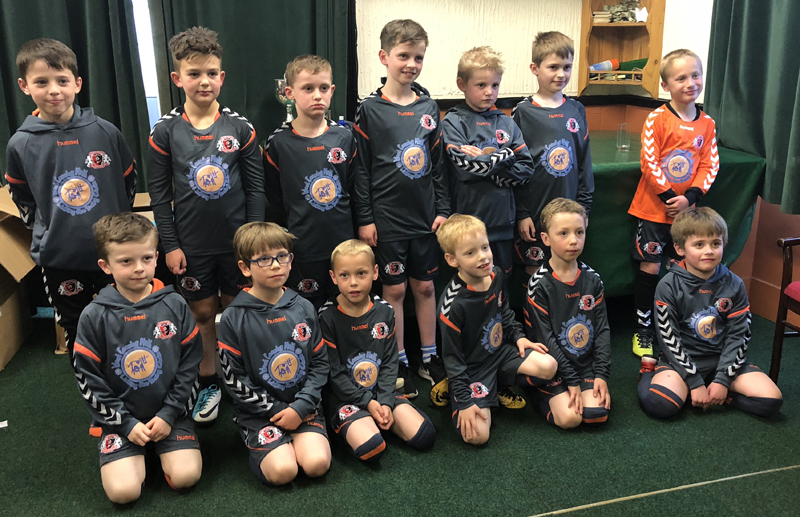 On Wednesday 12th April at Heavitree United’s Home Ground Wingfield Park, the fantastic new Hummel Kits were presented to Coach Derek Reilly and the team. 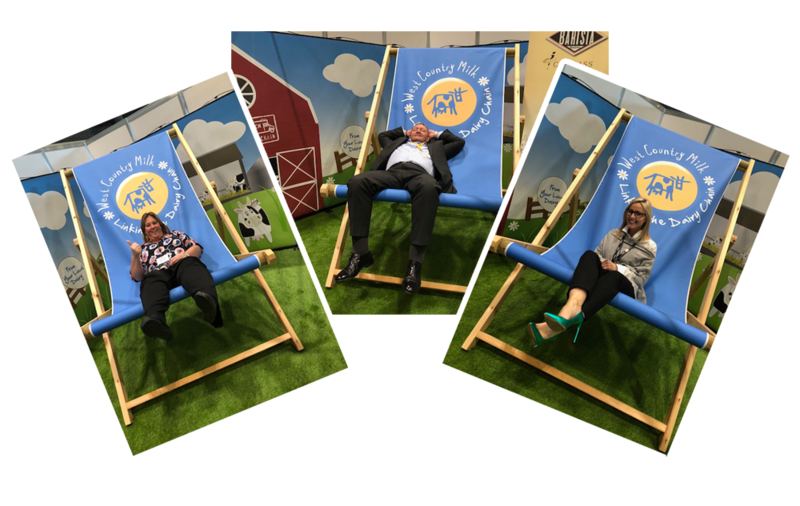 West Country Milk were delighted to attend the Foodbuy Conference which took place at ExCel London last month. For the past three years we have seen the evolution and growth of the Compass Group Supplier Conference which in 2018, evolved to become the Foodbuy Conference. With £1bn of managed spend, Foodbuy brings together the widest range of foodservice and hospitality clients to buy food, and everything associated with it. The Foodbuy Conference provided suppliers and clients with insight into the business and what Foodbuy has planned for the year ahead. As well as hearing from the organisation’s Executive Team, the Foodbuy Conference enabled attendees to further understand the journey Foodbuy is on as a business. Across the two days the busy programme, hosted by Louise Minchin, included presentations, workshop sessions, valuable networking opportunities and the popular Supplier Expo. 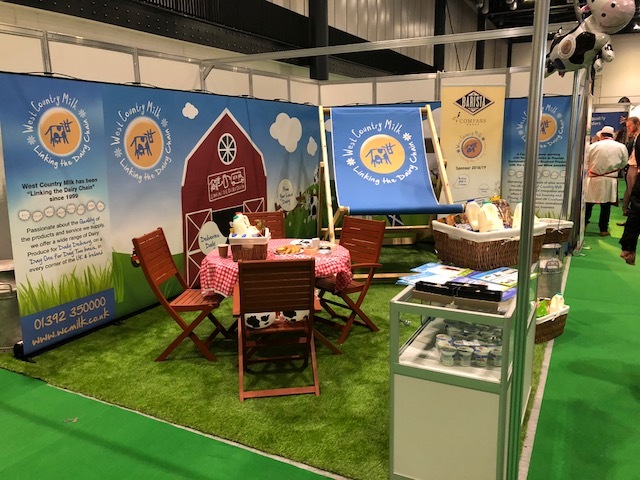 Naomi Crocker, Customer Service Manager for West Country Milk explained “It was really exciting to see the development of the Foodbuy business over the two days. We met lots of people from various businesses and were able to showcase how we can support their business. Our oversized deck chair proved a great hit and added a little fun! West Country Milk Sponsors New Compass Barista Academy! Compass Group UK & Ireland, the UK's largest food and support services firm, is to launch its first Barista Academy – a group consisting of the most highly skilled baristas in the business. The creation of the Academy continues Compass' investment in developing a top range of quality coffee offers. The application process is now open to all baristas in the company and will give them the opportunity to prove their coffee credentials. A focus on technical skill, consistency and quality will help decide which baristas make it through the testing trials. 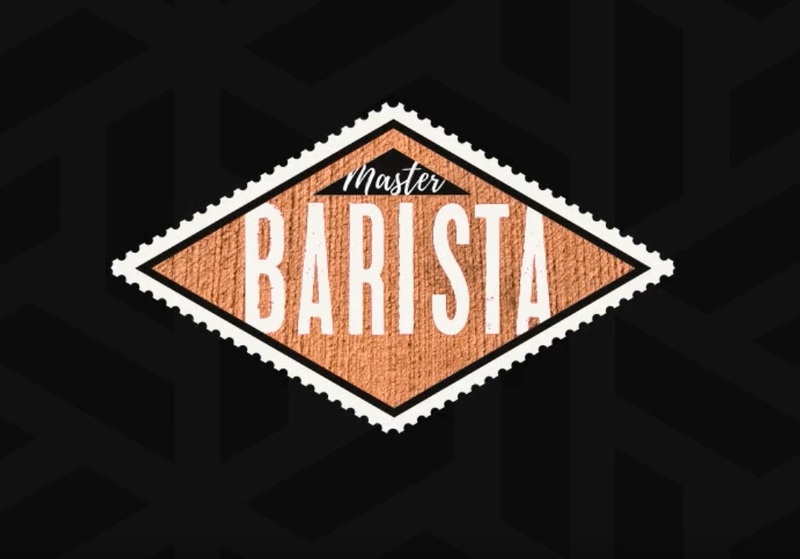 Those that make it to the last stage will undergo judging by a panel of esteemed external experts, who will decide who makes the final cut to earn the title of Master Barista. Stephen Lovegrove, Head of Business Excellence – Central Marketing, Compass Group UK & Ireland said: "We have some fantastic baristas in this business, who complement the quality of our coffee offers. The launch of our Barista Academy brings this work together and celebrates this talent - we can't wait for the trials to begin to decide our Master Baristas". The market for hot beverages is in sustained growth, both in size and breadth of range, with the UK coffee shop market generating £8.9b in revenue annually, according to the Allegra World Coffee Portal Project Café 2017 report. Danny Raleigh, General Manager at West Country Milk explained "We are really pleased to sponsor this exciting new Academy. Fresh Milk is such an integral part of making a great coffee and that is sometimes overlooked. It's great to see milk being recognised as a key ingredient to support great Baristas!" At West Country Milk we are extremely proud to offer a quality personal service often associated with a family owned business. Although our history only goes back to the turn of the century, we are pleased to have recently increased our association with The Brend Hotel Group, owned by the Brend family, who have played a prominent role in the hospitality sector of the West Country for nearly a century. There are many similarities between the businesses, with generations of the founding families now employed within both businesses. A passion for providing a quality personal service and a commitment to operating at the highest possible standard are key values for both businesses. Alan Bartlett Business Development Manager at WCM stated, "On joining the company in April 2016, the synergy between the two businesses became clear. As a local 'lad' I have known of the outstanding reputation of The Brend Group for many years, so I was delighted to play a part in launching our supplies to them and look forward to a long term relationship". The Brend Group operate a collection of 11 luxury hotels across Devon and Cornwall including 18 restaurants. West Country Milk first supplied the Devon Hotel, based in Exeter in February 2017, adding the Belmont and Victoria Hotels in Sidmouth in May 2017, before commencing supplies to the Group’s hotels in North Devon over the last month. David Roden, Food Buyer, for The Brend Group said that "We have a history of building and maintaining long term relationships with our suppliers. To switch the supply of such key products was not an easy decision. West Country Milk have proved that they provide a first class personal service and high quality products, encouraging us to grow our business with them".